The success of the Belt and Road Initiative will largely be dependent of China’s ability to deal with conflicts in South Asia. Initiated at the end of 2013, China’s One Belt One Road (OBOR) project, now known as the Belt and Road Initiative (BRI) is a gigantic infrastructure project financed by Beijing, and which aims to develop China’s trade routes through Central and South Asia, all the way into Europe and Africa. 68 countries have agreed to the scheme and China is spending approximately $150 billion a year to develop railways, ports and other industrial complexes, which are to contribute to these member countries’ economies and to the dynamism of this new Silk Road. The BRI is with little doubt Xi Jinping’s most prominent foreign policy project, the success of which will determine how his second term is assessed. Xi’s BRI may help impose China as the superpower on the Asian continent (although Beijing denies such claim), breaking further away from the historical low-profile attitude advocated by former Chinese leader Deng Xiaoping. In addition, this infrastructure project seeks to spur growth in China’s most underdeveloped regions (especially in the west ) and to open new markets for Beijing to export the country’s excess products, as well as its technological and engineering capabilities. The success of the BRI is dependent on the stability and security of the countries it will cross towards Europe and Africa. Unsurprisingly, Xi put the necessity to deepen diplomatic ties and cooperation with China’s neighboring countries at the heart of his upcoming reforms, during the 19th National Congress of the Communist Party of China (CPC). While he emphasized on his “readiness to share [China’s] development dividends with its neighbors and the least developed countries,” many complex security issues remained unresolved, especially in South Asia. Ever since the 1950s, China has historically been Pakistan’s strongest ally. Former Pakistani Prime Minister Yousuf Raza Gilani even dubbed it as Pakistan’s “best friend” back in 2011. Beijing thus logically included Pakistan as one of the main countries to benefit from the BRI, by designing a route extending from Kashgar, in Xinjiang province, to the southern Pakistani city of Gwadar. This project, named the China-Pakistan Economic Corridor (CPEC), is to be financed by Beijing to the tune of $62 billion. The major problem, however, is that the CPEC goes through the Gilgit-Baltistan region (in Kashmir), disputed by Pakistan and India. 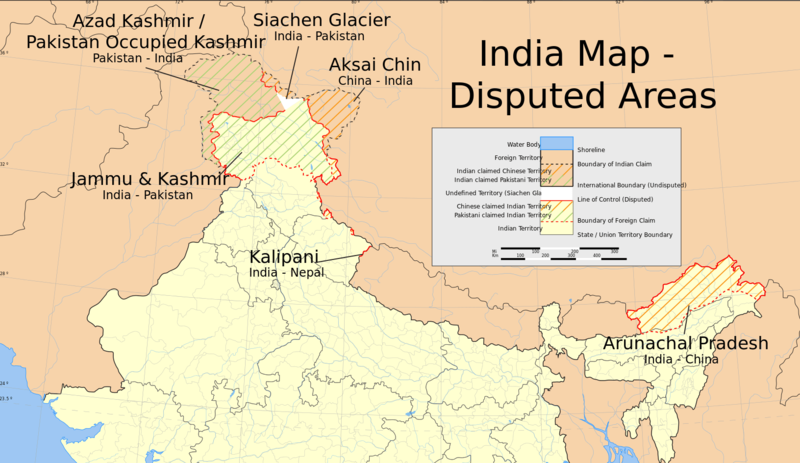 To complicate things further, India and China have a border dispute of their own. Tensions between New Delhi and Beijing peaked in 1962 during the Sino-Indian border war. Even if the two countries are not exchanging fire anymore, border disputes remain today as real as ever. 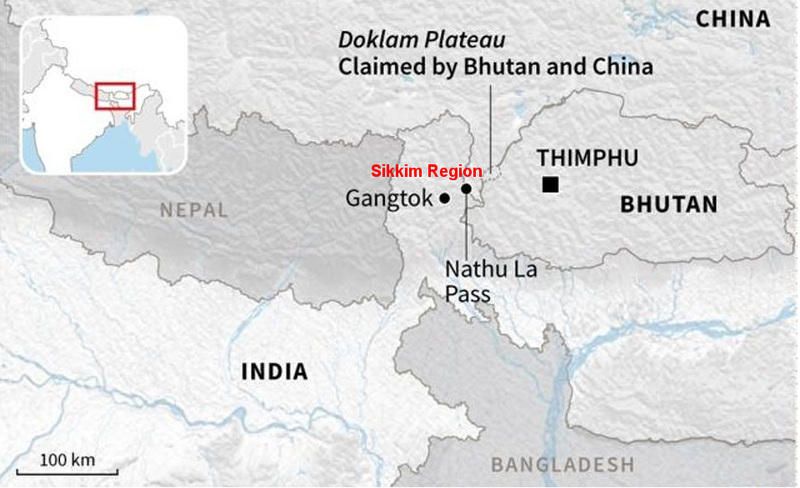 In August 2017, China and India had a 73-day military standoff at Doklam (Donglang), near the Sikkim border. China was spotted building infrastructure there, in an area disputed by both India and Bhutan. China and India have organized bilateral meetings to deescalate the crisis, but there is still a long way to go for the two countries to settle their border dispute. In any case, the deteriorating relationship between Beijing and New Delhi, worsened by China’s unconditional support to Pakistan, constitute a major obstacle for India’s acceptance of the CPEC. Given the current context, Xi Jinping will have a complex equation to solve to receive India’s support for the CPEC. The Sino-Afghan bilateral relationship does not pose any threat to the BRI. The two countries signed a memorandum of understanding (MoU) in 2017, to integrate Afghanistan into the initiative, while propositions are on the table for Kabul to be part of the CPEC. The challenge for Beijing regarding Afghanistan will be to contribute to the stabilization of the country in order to secure Chinese investments and infrastructure projects. First, Afghanistan is largely affected by terrorist activities carried out by the Islamic State (IS) on its soil, and even more so with the migration of jihadi fighters since the downfall of the terrorist group in the Middle East. However, as serious as the IS threat is in Afghanistan, all regional and international actors are likely to compromise and cooperate to target the terrorist group and mitigate its threat. Beijing is aware of the issue and accepted to become the mediator between Afghanistan and Pakistan. China’s initiative led to the China-Afghanistan-Pakistan Foreign Ministers’ Dialogue, held in Beijing on 26 December 2017, and to a crisis prevention and management mechanism implemented earlier in 2017, both seeking to de-escalate tensions between Islamabad and Kabul. However, China’s unconditional support for Pakistan is unlikely to force a change of attitude among Pakistani leaders and Afghanistan will probably continue to pay the price for the ambiguous policies of its southern neighbor. China may have a well-defined idea of what the BRI should look like, and is surely willing to improve relations with its neighbors in order to secure investments along its new Silk Road. However, to do so, Beijing will need to find a way to settle its disputes with India and push Pakistan to finally contribute to the region’s stability.